Located in the promotion court, lower mall on the first Sunday of every month from 11am – 3pm, children are invited to join our FREE kids club where fun, laughter and crafts are our speciality. 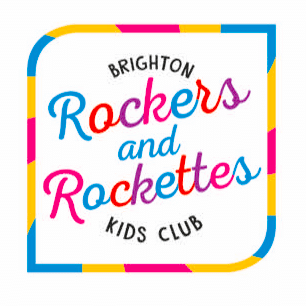 With a whoosh and swoosh our Rockers and Rockettes superhero team offer a different theme every month, so why don’t you pop along and check it out! This month the theme is the bee’s knees. Join Billie Bee to learn how honey is made and why it is so beneficial to us and the environment. Your own little busy bee’s will get to design their own fabulous bee hotel! Our kids club is the place to Bee. Put on your glad rags and join Frankie the Fashion Fixer this Sunday. Frankie will be here straight off the catwalk with a team of sustainable fashion police catching all the wasteful wearers out there! Frankie will be teaching your fashionistas out there how to make fashion greener and learn about the impact of fast fashion on the environment plus they can design their own accessories and fashion items out of old clothing. Upcycle or recycle, its all on trend to us. Stop, look and listen. To our monthly kid’s club! Join Speedy Stevie learn how to control their lightning speed to become a road safety superhero. Your road safety heroes can decorate personalised slap on bracelets with fabric pens and glitter – perfect to wear on your way to school or on their travels to Churchill Square! Do not kerb your excitement today. Lot’s of fun guaranteed. Rainbows aren’t just fun, they’re healthy too! Nicky Nutrition is on a mission to educate shoppers about healthy eating and ‘eating the rainbow. There may not be a pot of gold at the end of this rainbow but where else can you learn how to build a healthy plate which includes micro and macro nutrients, carbs, fats, protein and your 10-a-day? Your nutritional ninjas will also be able to create your own chart to take home and keep track of your 10-a-day. Welcome to saving our Seas with Coral the Ocean Protector. She has brought more than a life jacket to keep things from sinking into our seas! Coral will be teaching your little ones how to keep animals safe in the sea and running workshops on how to cut down on plastics by reuse, reduce and recycle. The only time we want you to fuel up and use lots of energy is at our kids club this month. Wasteful Wallace is very forgetful and needs to be reminded when wasting energy! Can your energy efficient apprentices help point out to Wallace when energy can be reduced? Wallace will power forward thanks to your well needed energy efficient apprentices. Branch out and join us this Sunday for our Save Our Trees event. Every superhero needs to go to school and no better place to start than at Tree Training School. Our superhero Cherry Blossom will be helping your little seedlings to understand how to reduce paper waste, plant trees AND they get to plant their own flowers in their personalised pots. No-one will be BARKing orders here. It’s all a team effort. Join Nora Nobully who will show your little superheroes in a fun and interactive way how to detect and prevent bullying, as well as how to treat others with kindness. They can also in preparation for odd socks day, personalise their very own odd socks to take home and wear with pride to show that they stand up against bullying. All events run from 11am to 3pm and are free to attend. Please note, all children must be accompanied by an adult.